This is a great way to transform your photograph into something really stylish! With this option, we print your photograph onto canvas using the latest technology, coupled with high quality ink and canvas. We then apply a couple of coats of a protective laminate to add durabililty and to ensure that your print will last a lifetime. Once everything has cured, we then stretch your print over our custom stretcher bars that are manufactured to our own quality specifications. 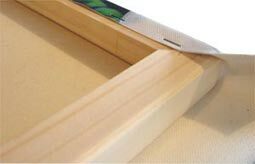 We use 32mm or 24mm deep stretchers as a standard, but we also have 40mm frames available if these are preferred. We have found that 32mm and 24mm are the most popular. 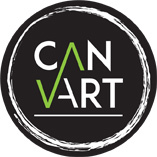 We can create your stretched canvas masterpiece in a number of sizes, ranging from a small 130 x 130mm to 1m x 1m, or larger if required. The maximum width that we can do is 1m, but we can go longer than 1m if need be. We have done prints up to 1 x 2 metres! You will find a list of our most common sizes and prices below, if you have a size requirement not listed then feel free to contact us for a quote. 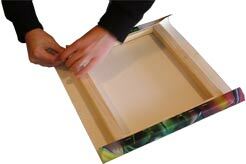 The size here represents the front of the print - we allow additional canvas for stretching.